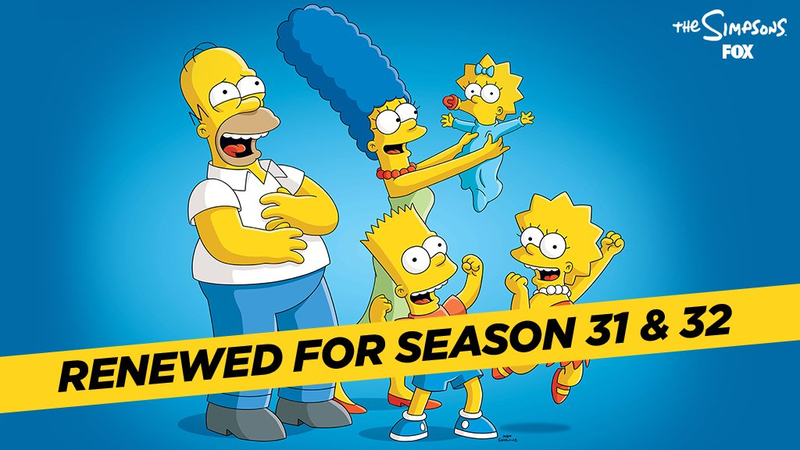 ‘The Simpsons’ renewed for Season 31 and 32!!! The show has been renewed by Fox for Season 31 and 32! It will bring the show up to 713 episodes!! “Woo hoo! 32 Seasons! Watch your back ‘Meet the Press’”, said Homer Simpson. Sources: Variety, Fox Press Release.